There is nothing like fresh fruit from your own backyard! If you have a little bit of space, you should try to raise strawberries to eat yourself and share with the neighbors. Of course, if you are growing them your will have to take care of them. This includes fertilizing at the right time for optimum production. 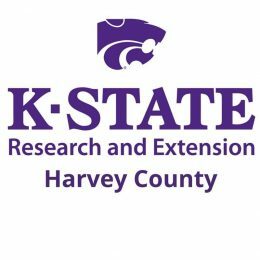 I have written many soil test recommendations over the years and have found that basically most garden soils in Harvey County have adequate levels of all nutrients other than nitrogen IF the area has been fertilized in the past. However, it is recommended that a soil test be done to be sure of the nutrient needs of your fruit planting. If the soil test recommends phosphorus and potassium, use a 10-10-10 fertilizer instead of what is recommended below but triple the rate. For example, instead of ½ cup per 10 feet of row, use 1.5 cups per 10 feet of row. Fertilize in the spring as growth starts and again in early August. Use the rate strawberries are not renovated. Brambles (Blackberries and Raspberries): In most cases, brambles need primarily nitrogen, so use a high nitrogen fertilizer such as a 27-3-3, 29-5-4, 30-3-3 or something similar unless a soil test directs otherwise. Though recommended for lawns, these fertilizers will also work well as long as they do not contain weed killers or crabgrass preventers. Apply ½ cup for every 10feet of row. Fertilize in spring as growth begins.